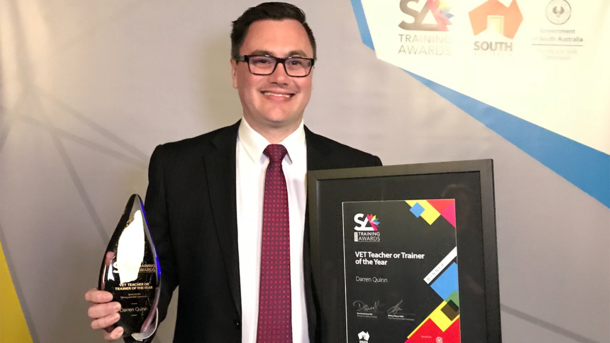 Congratulations to CMI Toyota's Darren Quinn who was awarded 2018 VET Teacher/Trainer of the Year at the recent 2018 SA Training Awards, presented by the Department for Industry and Skills SA. 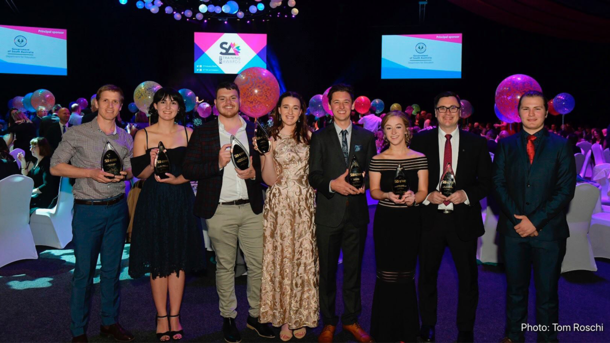 The awards recognise the best and brightest students, training providers and employers who are excelling in training and training delivery in South Australia. 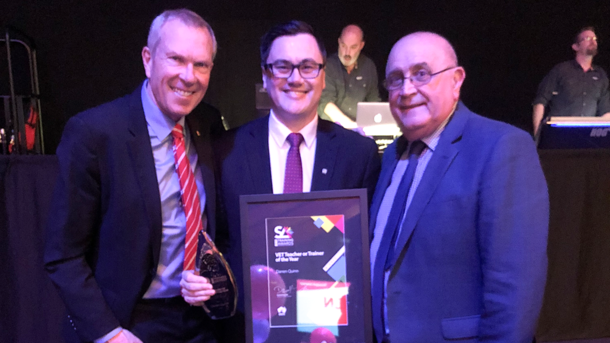 Darren is a passionate automotive trainer at CMI Toyota and after spending seven years as a technical trainer and training curriculum developer for GM Holden, Darren took on his current role in August 2017. Drawing on his previous experiences to support the development of 45 trainee and apprentices currently employed in the CMV Group’s light vehicle dealerships, Darren’s aim is to improve the quality of training available for all learners to access. Congratulations to Darren and the CMI Toyota and CMV Group team wish him all the best at the Australian Training Awards in November.